Our graduates have gone on to pursue their passions and build outstanding careers in their chosen fields. To learn more about our graduates, visit our Alumni Careers page, or check out our Alumni Notes. 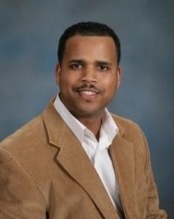 Dr. Michael Curry earned his PhD from The University of Alabama in 2004. He worked with Prof. Shane Street to study the physical, mechanical, and tribological properties of dendrimer-metal nanocomposites. Dr. Curry is currently an Associate Professor of Chemistry and Adjunct Associate Professor of Materials Science and Engineering at Tuskegee University. 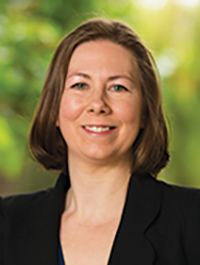 Dr. Curry’s research focuses on the extraction and modification of sustainable plant-based materials (e.g., nanocellulose) and their application to the production of green nanocomposites and biomaterials that can be used in common items such as computers and automotive parts, as well as in the biomedical industry. Michael is the President, Founder, and CEO of a startup company, Eco-Friendly Plastic Materials, LLC. This is a research and development company with the mission of providing cost-effective, environmentally friendly products for industry. As a graduate student, an industrial chemist asked Franchessa to look at some palladium of carbon catalyst, which he described as the “best of a bad bunch,” because, under reaction conditions, it lasted only 6 weeks of the 1 year necessary for an industrial catalyst. After examining the catalyst, Franchessa commented, “This is junk. We can do better on a bad day.” She then went on to found ThruPore Technologies with her graduate advisor Martin Bakker. Bakker was able to secure $50k in funding from the National Science Foundation for a team from ThruPore to participate in NSF’s I-Corps program to evaluate the market for their catalysts. After graduating in 2012, Franchessa was the principal investigator on a Phase 1 Small Business Innovation Research grant of $150k followed by a Phase 2 grant of $750k to scale up production of the catalyst. In January of 2018, ThruPore carried out a venture capital financing round of $540k to build their customer base and develop a continuous process to make their catalyst. Franchessa is ThruPore’s CEO and leads a team of 3 other employees based in Tuscaloosa and Delaware.